Want to Enhance Team & Organization Performance, PLUS Well-Being? New research confirms that practicing techniques based on mindfulness meditation reduces or eliminates team conflicts, improves listening, eradicates incivility, and leads to collaboration and camaraderie, yet fosters opportunities to have difficult (and necessary!) discussions. This is the first study to document the benefit of mindfulness for teams. The study, from the University of British Columbia, indicates that there is less interpersonal conflict and undermining behaviors so that the teams work more collaboratively and productively. 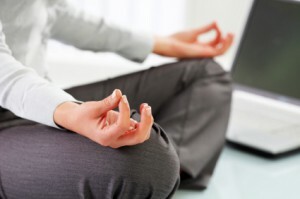 The individual benefits of a mindfulness practice are many, including enhanced well-being, decreased stress reactions, lower blood pressure, less pain, a calmer – more peaceful – mind, and more emotional control; but our interest has also focused on decreasing workplace incivility and enhancing the work culture in organizations. This study confirms what we have experienced! Ultimately, knowledge sharing, innovation, and positive relationships are valuable results of mindfulness initiatives. Such team initiatives benefit the organization while also enhancing employee well-being. Are you interested in improving team performance and cultivating leader qualities that create a great place to work? Please contact us to schedule a brief discussion on your issues and the possibilities. There is no obligation and we guarantee you will receive helpful information! Please contact us for a copy of the research publication.